This post will cover the "Hello World" LLRP application in C# .NET Framework 4.6.1. It will show how to setup an RFID reader with minimal configuration and start reading tags. To keep things concise, much of the error handling required in a production application has been omitted. Open up your project in Visual Studio and add references to these libraries by selecting Project->Add Reference from the menu. Add the library import statements at the top of your class. An ROSpec tells the reader what data you want to read and when you want to read it. The Speedway and Speedway Revolution readers support one ROSpec on the reader at a time. Before you can add a new ROSpec, you must delete any existing ones. This can be done by sending a DELETE_ROSPEC message. Now you can add a new ROSpec using the ADD_ROSPEC message. // No stop trigger. Keep reading tags until the ROSpec is disabled. // No AISpec stop trigger. It stops when the ROSpec stops. When an ROSpec is added, it is disabled by default. Before it can be used, it must be enabled with the ENABLE_ROSPEC message. Since we set our ROSpec start trigger type to "immediate", the reader will begin reading tags as soon as the ENABLE_ROSPEC message is sent. In order to receive tag reports you must specify an event handler to call when data is ready. Here's an example of what that function should look like. Now that we have all of the basic functions written, let's write the main function that will connect to the reader and send all of the messages. 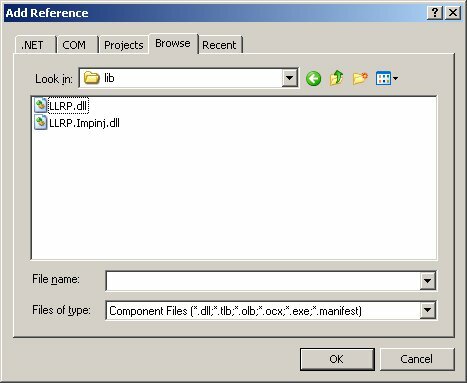 // Create a LLRPClient instance. Replace "SpeedwayR-10-25-32" with your reader's hostname. The second argument (2000) is a timeout value in milliseconds. // Could not connect to the reader. // Your application should not continue. called when a report event occurs.